My profession (speaker, facilitator, coach) has given me the opportunity to interact with people from all walks of life from all over the Earth. It has been—and continues to be—my privilege to aid my fellow beings in finding their personal success and happiness in this wonderful adventure we call life. Along the way, many of those interactions have provided personal epiphanies—special insights and lessons that subsequently shaped my life. I would like to share one of those experiences with you in this post. Years ago, one of the major gold mines near Elko, Nevada underwent a major reorganization which resulted in a large number of employees losing their jobs. I was a member of the Lee Hecht Harrison team that was brought in to help those displaced workers transition to new jobs. I was tasked with teaching two-day workshops on career planning/job search for the displaced workers. 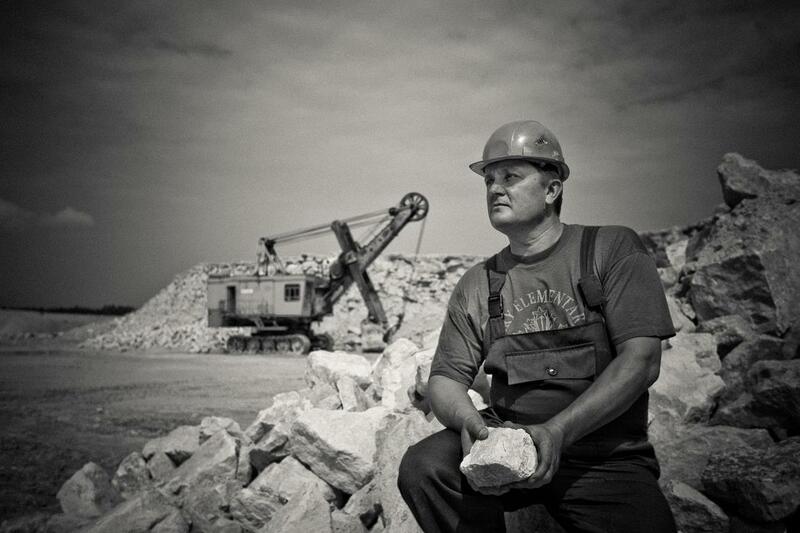 I have done a lot of work with various mining companies during my career. When I do, I always make it a point to inform the participants that I have been an avid mineral collector during my life (I am a Past President of the Mineral Collectors of Utah). I tell them that I have amassed a sizable mineral collection with specimens from every continent on Earth. This always creates a bridge with these folks when they realize that I am familiar with geology and mineralogy. It also endears me to those in the group who share my passion for collecting mineral specimens. Accordingly, as I introduced myself to the miners on day one of my first workshop, I shared the above information with them. Midmorning, I noticed that one of the participants seemed to be very nervous (avoiding eye contact, wringing hands, etc.). I became concerned when I subsequently noticed that he was not participating in the pen and paper workbook exercises. He replied that he wouldn’t want to impose on me. I assured him that I was more than happy to give him a hand. I told him that it would be a lot more fun than hanging out in my hotel room. When day one was complete, and the participants had all left, I sat down with this man and we began to write his resume. As we proceeded, I was impressed by how well he expressed himself in words, and I complimented him on his ability. A smile appeared on his face. We continued to chat, and as we did, I created his resume. During our conversation, I learned that this man hadn’t had the best childhood and hadn’t been encouraged to take school seriously. He then told me how he had taken a menial job with a mining company and worked his way up to the point where he was operating important pieces of mining equipment. I could sense in his delivery the pride he had taken in his work. This man had taken his work seriously over the years and had established a record of safely achieving goals and doing right by his employers. I couldn’t help think about how fortunate his next employer was going to be to get such a dedicated and capable worker. After a few hours of enjoyable conversation, I had completed writing his resume. I printed some copies and presented them to him. He was elated. He gave me a firm handshake and thanked me profusely. I told him that it had been my pleasure to help him out and looked forward to seeing him in the morning for day two of the workshop. I arrived early the next day to make sure everything was in order for day two. As I was focusing on setting up my computer, I heard someone enter the classroom. I looked up to see the man I had helped approaching my table. I stood to greet him, and as I did, he handed me a small box and invited me to open it. When I removed the lid I saw two, beautiful mineral specimens. 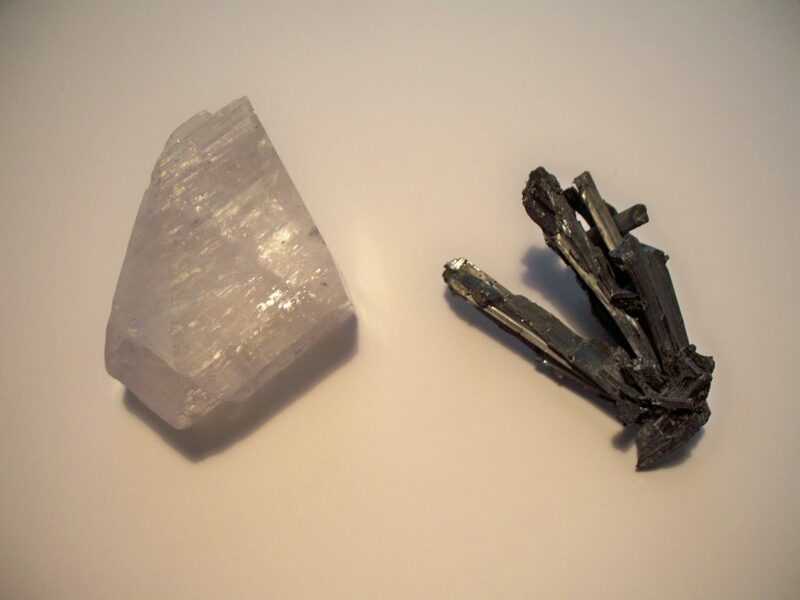 One was a cluster of Stibnite crystals from the Independence Mine in Nevada. The other was a large Calcite crystal from the Meikle Mine near Elko, Nevada. We both wiped away a few tears as we basked in a special moment of deep human connection. (Tears are welling up in my eyes as I remember and write about that special experience.) We thanked each other again and then he went to his seat and I continued my preparations for class—but as a changed man—a little bit better than before for having crossed paths with this good man. Such are my thoughts as I remember that humble mine worker and the few, short hours we spent together all those years ago—and how a special “thank you” gesture impacted my life in a profound way. Mark provides career coaching/job search services through his company Daily Renaissance, LLC.